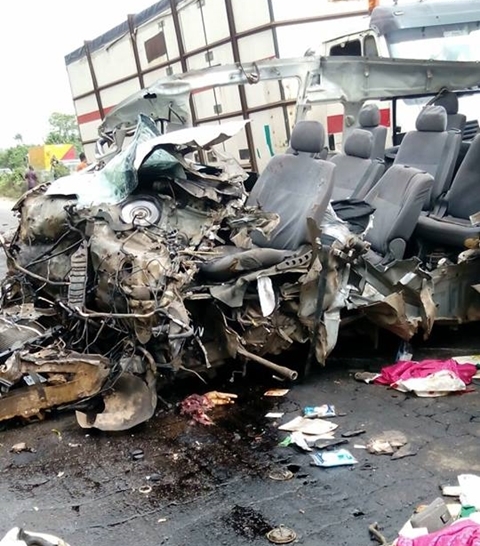 A Nigerian identified as Joy Joseph, has taken to social media to share some heartbreaking photos and video from an accident scene, and revealed that although her sister was involved in the ghastly accident, but came out alive. “So my elder sister survived this and you want to tell me there's no God up there. Tell me what He can't do, let me show you what He has done. She just came back to the country to spend the Easter with us and they wanted to change the narrative. She had the accident on her way to Benin.